soccerloco is the premier destination for anyone looking for a quality soccer drawstring bag or any other soccer apparel and gear because we have the best selection of equipment, apparel, cleats and more all featuring the lowest prices on the web. We have nylon drawstring bags that are lightweight and tough with wide, easy-access openings and durable cords. Any of our sports gym bags will make getting your gear to the field quick and easy. Look around online now at soccerloco then get whichever of our soccer gym bags you like most so you are properly equipped for your next practice session. Most sports drawstring bags are made of durable polyester and nylon to keep them from ripping even after many uses. At soccerloco, we carry a wide selection of soccer gym bags designed to get your stuff to and from the field quickly and easily. We carry team-themed nylon bags, like a France gym sack by Nike. With a sharp style to match the team’s kit, these are a great way to show off your team spirit on the way to practice. So, when you need a drawstring soccer bag that can hold all your basic gear and equipment without ripping or tearing, come to soccerloco, where you’ll find the best bags with the best value on the web. 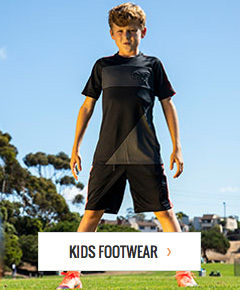 At soccerloco, we’re the best online retailer of soccer gym bags, equipment, apparel and more because we have the largest selection of soccer gear at the web’s lowest prices. To help you save even more on your soccer drawstring bag, we offer flat-rate shipping anywhere in the continental United States. You can spend more of your time practicing and playing thanks to the hassle-free returns on all of our nylon drawstring bags and everything else in our online store as well. So come shop at soccerloco today so you can discover which of our sports drawstring bags is right for you.